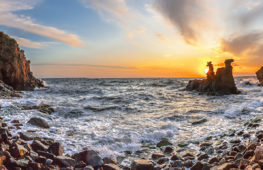 Bornholm has a wide variety of exciting sights whether you enjoy the great outdoors, interesting churches and buildings, beautiful sandy beaches, rock engravings, castle ruins or large and impressive rocky cliffs and rift valleys. Bornholm’s sights all lie within close proximity and there are so many to choose from that, even after several visits to the island, you will still be able to find new and fascinating excursions. 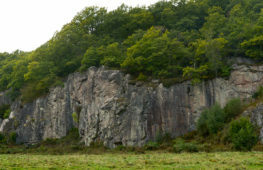 If you are interested in Bornholm’s history, there are traces from the earliest times in the form of passage graves, rock engravings or petroglyphs, runic stones, entrenchments, bunkers and much more. 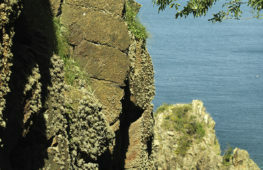 The historic sights on Bornholm are just waiting for you to visit! 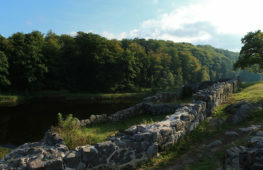 If you prefer sights that include historic buildings, architecture and towns, Bornholm is also the perfect destination. 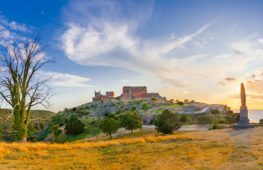 Bornholm’s most popular sight – northern Europe’s biggest medieval fortification Hammershus – is situated like an eagle’s nest on top of a 74-metre high rocky outcrop, and welcomes you to more than 800 years of thrilling history. 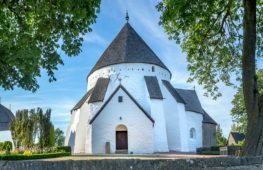 You should also visit the ancient fortress Gamleborg, one of Denmark’s earliest buildings, Utzon’s water tower in Svaneke, the fortification Christiansø and, not least, Bornholm’s four beautiful round churches, to mention just a few. 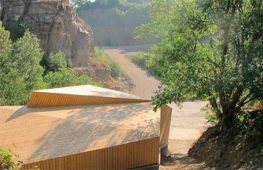 The landscape on Bornholm is an attraction in itself thanks to its diversity and rarities. Go exploring in Paradisbakkerne or ‘Hills of Paradise’ and discover completely unique Danish countryside which might have been taken straight out of a fairy tale. 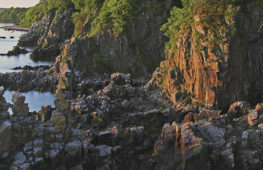 Visit the Helligdomsklipperne or ‘Sanctuary Rocks’, which lie on the coast between Tejn and Gudhjem and which are one of Bornholm’s – yes, even Denmark’s – biggest natural attractions, or discover the dramatic scenery of Slotslyngen, an extremely undulating and rocky area in the north west of Bornholm.